In the Storage tab, you can select where to store the files on the Netsparker data directory as required. 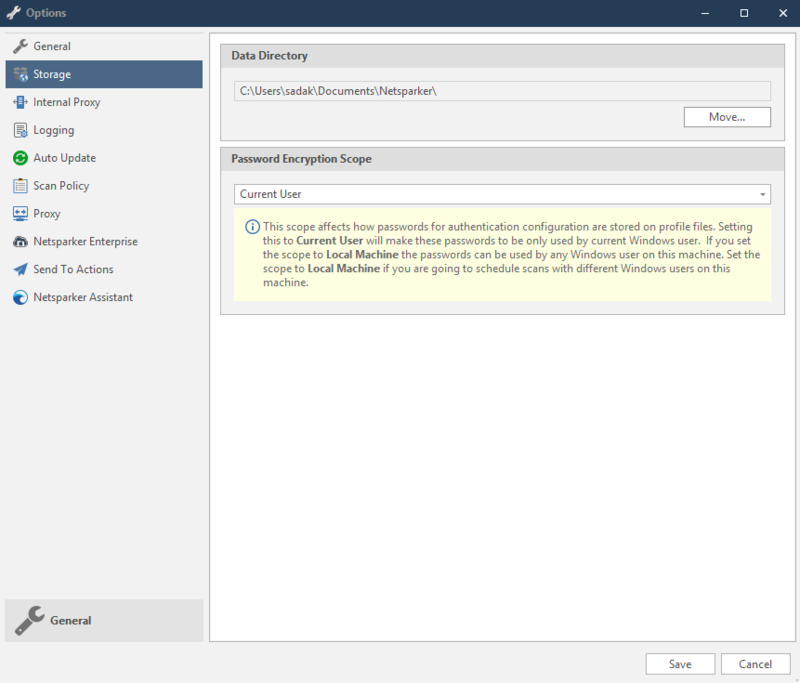 You can also change the Password Encryption Scope, depending on whether you want authentication configuration passwords that are stored in profile files in the local machine to be associated with the current Windows user or to any user. In the Data Directory section, click Move. 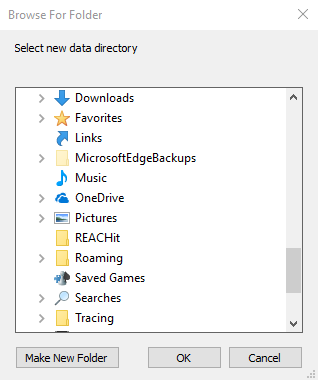 The Move Data Directory dialog is displayed. Click Yes. The Browse For Folder dialog is displayed. Select a folder, or create a new, preferred location, and click OK.